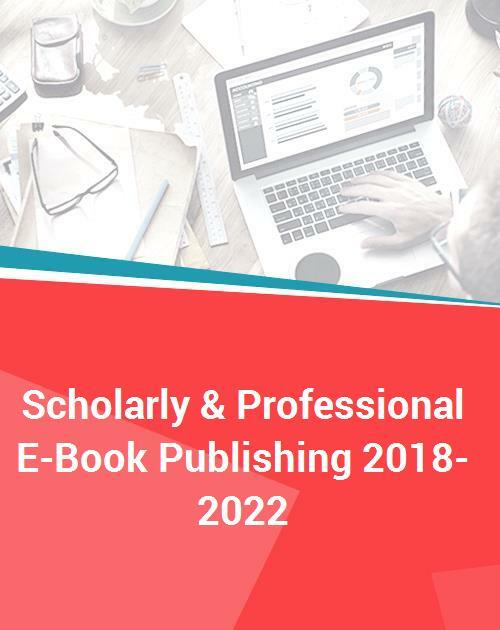 Scholarly & Professional E-Book Publishing 2018-2022 provides an overview and financial outlook for the global scholarly and professional e-book publishing markets based on specific research and analysis of the leading competitors’ performance. Company performance is projected through 2018. The overall market is divided into law, science and technology, medical, social science and humanities and business publishing. Market categories are projected through 2022. The publisher's e-book market figures are global in scope. It’s a global market. If you’re competing in one or all of these segments, the competition does not conform to lines on a map. This report, and the others in the series, is produced to help executives make decisions in this environment.